Developer Brian Alexakis from Embarcadero has a blog post up where he demonstrates how to connect to a Wahoo Balance scale with Bluetooth from Appmethod. Appmethod supports both Object Pascal and C++ with the Firemonkey framework. This demo is in C++ but the code is almost the same in Object Pascal. Appmethod has a component called TBluetoothLE which you can use to pair with the Wahoo Balance scale to get weight data that it generates. In the blog post it shows how you first define the UUID of the device and then use the TBluetoothLE component to discover and pair with the device. Once the device is discovered you read the characteristics (weight) data via the CharacteristicRead event. The number that is reported via the event is an integer and the demo shows you how to convert it to pounds. Full source code is provided with the demo and it should compile for Android and IOS. Additionally, you should be able to load up the project in C++Builder or convert the source to Object Pascal and re-create it in Delphi XE7 if needed. 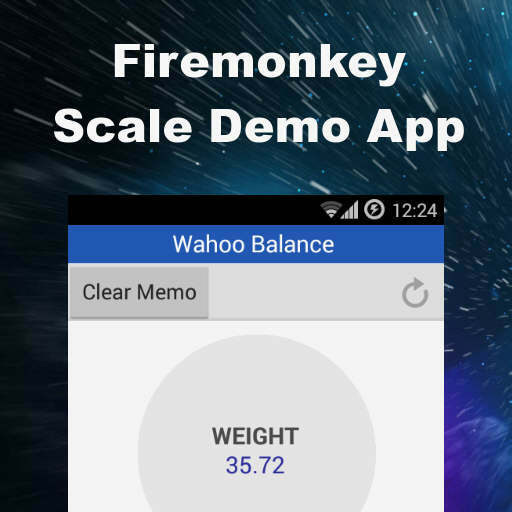 Head over and check out the full blog post about pairing Appmethod with the Wahoo Balance scale via Bluetooth before downloading the demo source code.